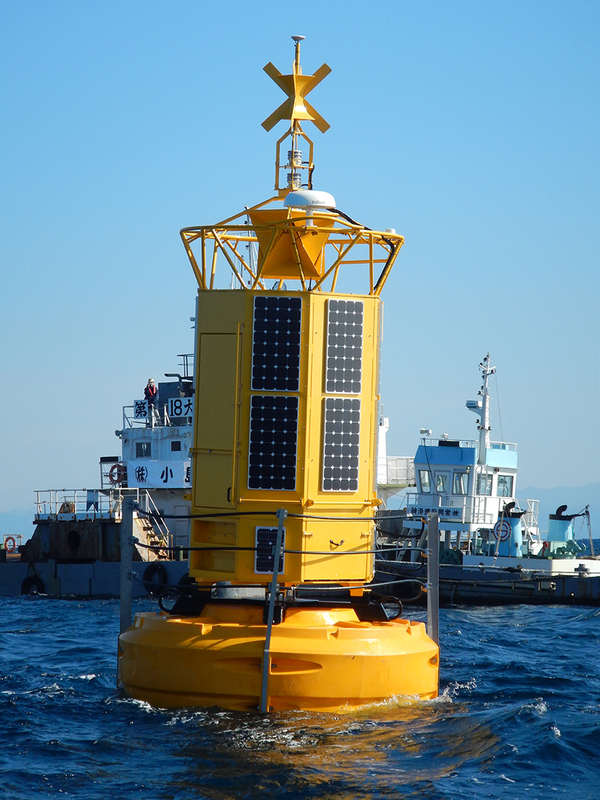 The data buoy, which has been in development for the past 3 years, is designed to detect potential tsunamis and warn the authorities by data transmitted ashore via radio and an Iridium satellite communication system. With a hull measuring 3.6m in diameter, the DB 16000 is the largest of the Mobilis data buoy range with an overall height of over 10m. 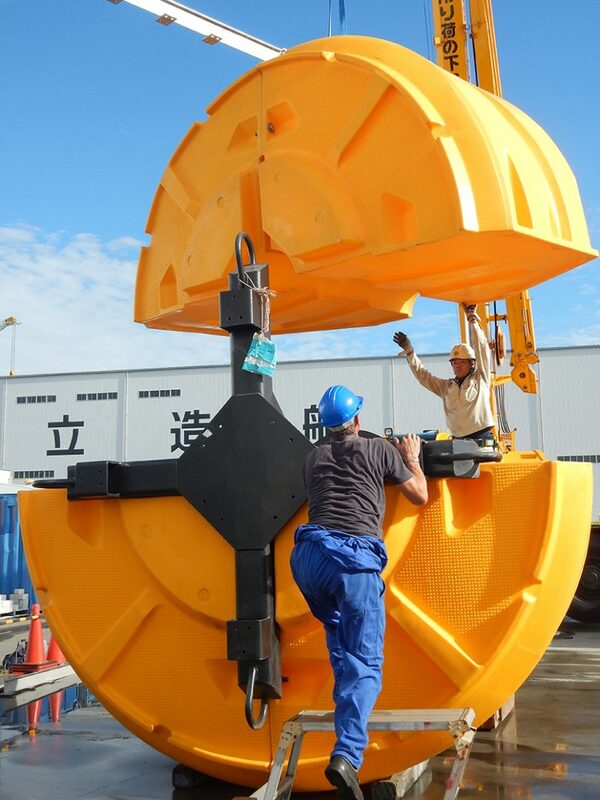 The buoy’s hull is manufactured from multiple-section polyethylene floats and is the first PE buoy to be used in this sort of application. The buoy’s large hull supports an impressive marine grade aluminium tower, which provides a focal plane of 6.75m and also allows its large meteorological equipment payloads to be placed in a protected location. Mobilis have over 20 years of experience producing robust, flexible and IALA compliant buoys renowned for their longevity, strength and adaptability. Hydrosphere UK Ltd is the exclusive distributor of Mobilis navigation buoys, zone marking buoys and data buoy platforms for the UK and Ireland and their customers include the MOD, Met Office, Northern Lighthouse Board, Commissioners of Irish Lights and numerous research institutes and offshore energy sites. Most recently they were chosen to supply the data buoy for Cornwall’s prestigious wave hub project. For more information on the data buoys supplied by Hydrosphere throughout the UK, take a look at our data buoy case studies page.